Super Savings Item! Free Shipping Included! 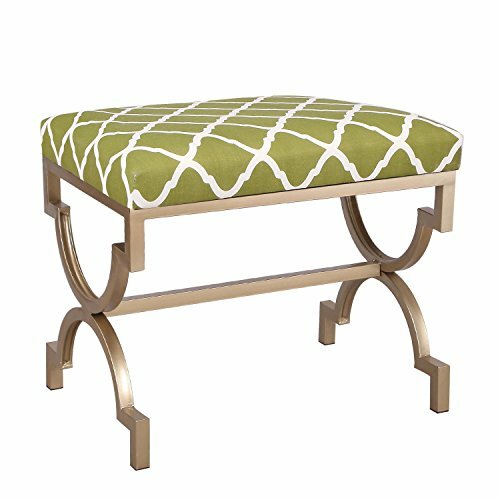 Save 34% on the Joveco Modern Upholstered Fabric Cushion Metal Frame Footrest Stool, 21 Inches Height Green by Joveco at Momiji Studios. MPN: JCH329-G. Hurry! Limited time offer. Offer valid only while supplies last. The flax fabric upholstered ottoman bench by Joveco provides cushioned seating comfort for use at the foot of your bed or in any room of the house. The flax fabric upholstered ottoman bench by Joveco provides cushioned seating comfort for use at the foot of your bed or in any room of the house. Featuring flax fabric upholstered cushion on an antique textured metal X legged base, this stylish metal bench offers clean and classic lines that are rich, yet understated. Use it in a hallway, bedroom or living room. If you have any questions about this product by Joveco, contact us by completing and submitting the form below. If you are looking for a specif part number, please include it with your message.